Knowing what insurance adjusters are looking for when considering your car accident insurance claim will better prepare you should you get into an accident. When you are making a claim with your own insurance company, you may believe that they are on your side. But this isn’t always true—insurance companies are looking for any reason to delay or deny your claim. Having your claim denied can place significant financial burden on you and your family. You may be counting on that money to pay bills, continue your mortgage, or offset lost wages. When your insurance company denies your claim, you may be left wondering why – and even more importantly, what you can do about it? In Arkansas, an automobile owner is allowed to reject full coverage. The bare minimum car insurance plan that the law requires you to carry is a liability-only plan. This means if you are at fault, your insurance will cover the other driver who wasn’t at fault, but you will have nothing to pay you for your own expenses incurred and losses sustained. Underinsured motorist protection which applies when the other driver is at-fault but does not have enough liability insurance to pay your damages. You might have selected a liability plan because it was the most affordable, but make sure you know what is at risk when you choose the cheapest option. Don’t wait to report an incident to your insurance company. They have the right to argue that they didn’t have enough time to research a claim if a significant amount of time has passed since the accident. 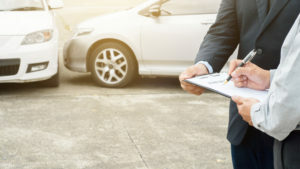 An insurance adjuster could reject your claim because there’s been a dispute about who was at fault. They could also disagree with the damages you’re claiming. To avoid a dispute with your insurance company, a police report and photos of the scene and damage and witness testimonials can help. If you were under the influence of drugs or alcohol and caused an accident, your insurance company will not cover expenses caused by your negligence. Understanding the reason your insurance claim was denied is an important first step toward appealing that denial. When your claim is denied, find out from your insurance company why they denied your claim. Insurance companies have internal appeals processes that allow policyholders to directly appeal any denials that they believe were made in error. However, that appeals process often starts with identifying why the adjuster denied your claim. Perhaps the insurance company didn’t receive the accident report or speak to eyewitnesses. Perhaps they placed too much blame on your driving actions, thereby erroneously assigning you fault for the crash. Use this evidence to directly contradict the adjuster’s decision to deny your claim. Appealing an insurance claim denial is complicated and injured accident victims should take the time to contact an experienced Arkansas car accident lawyer before beginning the process. Insurance companies are reluctant to change denial decisions and without an attorney on your side, it could be an uphill battle even if you make all the right steps. Your attorney can design a case that will give you the best chance to win your appeal. If your insurance company acted in bad faith by denying your claim, your attorney will be able to file a bad faith lawsuit against that company for unfairly denying your claim. At Rainwater, Holt & Sexton, our Arkansas car accident lawyers have decades of experience representing injured accident victims and helping them get the money they need to recover. We’ve gone toe-to-toe with large insurance companies after unfair denials and won. That’s because we believe in fighting aggressively for injured accident victims and protecting them from unscrupulous insurance adjusters who would deny their claim simply to save money. Being involved in a car accident is scary. When insurance companies don’t play fair and deny your claims, you can be left holding the bills. This can cause significant financial burdens to you and your family, but we can help. With four offices in Arkansas—Little Rock, Fayetteville, Conway, and Hot Springs—our Arkansas auto accident lawyers are easily accessible from the moment you are injured. Contact Rainwater, Holt & Sexton Injury Lawyers today. Fill out a free contact request form, which only takes a minute, or simply dial (800) 767-4815 and tell us your story.